In this sample, Sothink DHTML Menu combines with the China map. 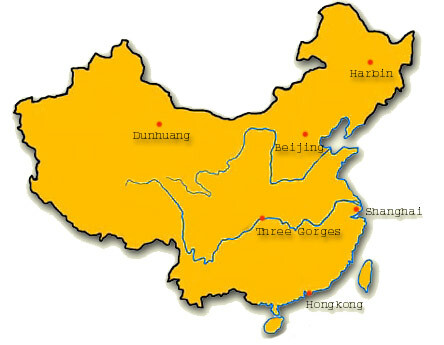 The menus and red dots identify the locations of several cities on China map. When mouse moves over the red dot, it will show the information of corresponding city. The information includes the city photo, city name, its population, its area, and its interesting places. It is more visual to understand each city' geographic location. e.clientX+stgcl() and e.clientY+stgcl() are for browsers as IE, Opera, FireFox, Safari, etc. But if you use browser Netscape 4, you should change them into e.pageX and e.pageY .